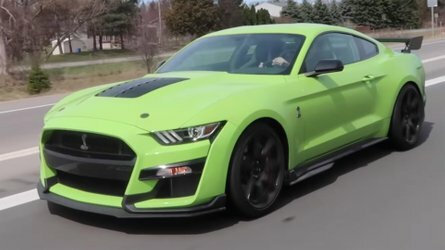 The trot to 60 miles per hour takes a manufacturer-claimed 5.6 seconds for models equipped with launch control, a feature bundled into the $1,130 Sport Chrono package. That figure slows to 5.9 seconds without launch control. 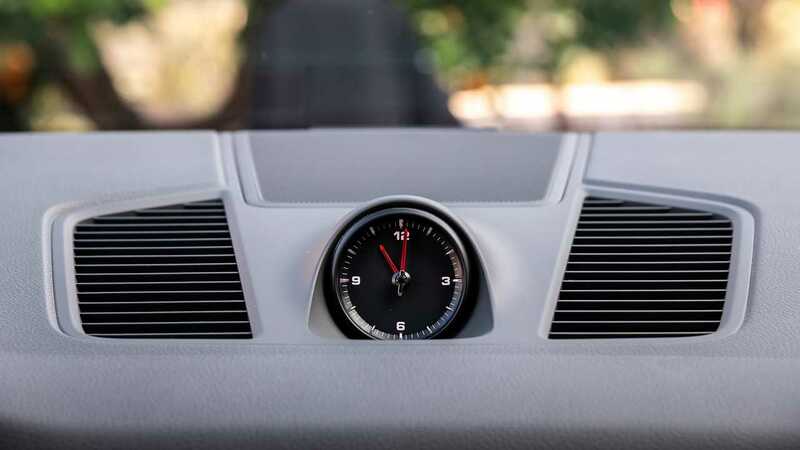 Regardless, Porsche claims the Cayenne is between 1.4 and 1.6 seconds quicker to the mile-a-minute mark relative to its forebear. 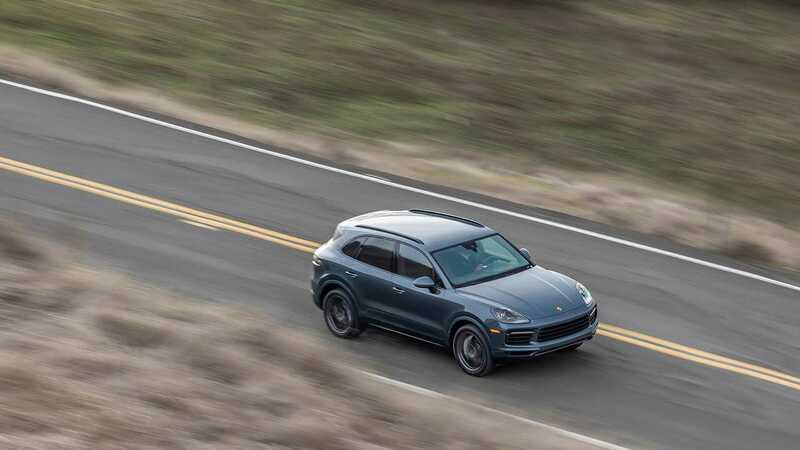 While the 3.0-liter engine’s performance falls short of the numbers put up by its more powerful siblings, the turbocharged V6 still manages to move the Cayenne with aplomb. 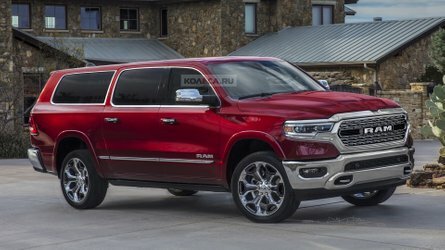 Credit the standard all-wheel-drive system that seamlessly transfers power between the front and rear axles, gobs of low-end torque (all 332 pound-feet of it is available from 1,340 rpm), and the smooth operation of the ZF eight-speed automatic transmission. The gearbox is a true gem and swaps cogs with deft precision. It’s also eager to drop down a gear or two with a prod of the throttle. A pair of chunky steering-wheel-mounted shift paddles are a joy to fiddle with, even if the transmission’s clairvoyant nature, as well as its propensity to hold gears during more spirited driving, means there’s never really a need to tap at the metal protrusions. Riding on the same chassis that underpins other Volkswagen Group products such as the Audi Q7, Bentley Bentayga, and Lamborghini Urus, the Cayenne deftly combines dynamic composure with unrepentant refinement. 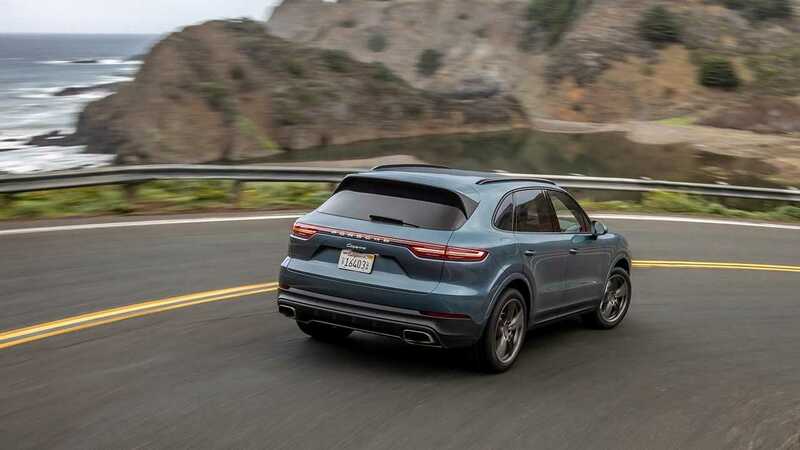 Its chassis is playful and predictable, and the steering masterfully communicates the status of the crossover’s connection with the tarmac below. 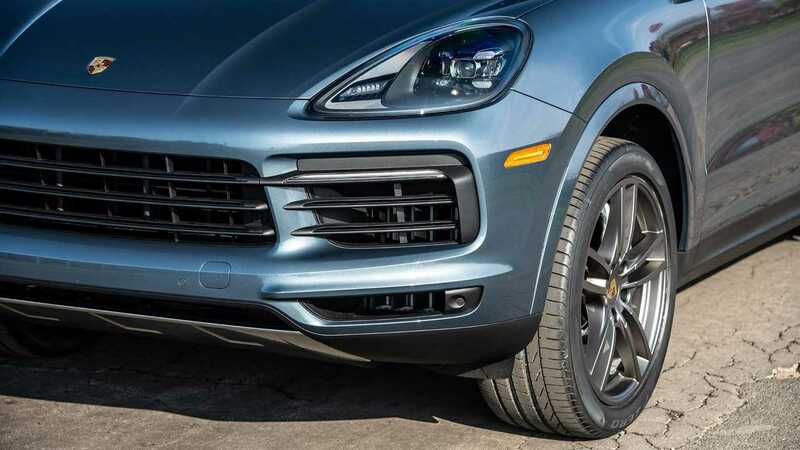 The Cayenne also welcomes Porsche’s latest brake technology. 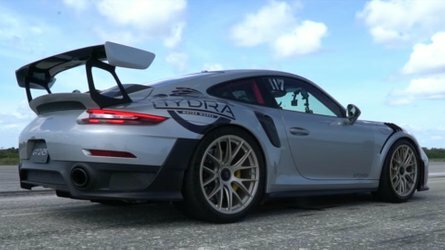 Dubbed Porsche Surface Coated Brakes, the $3,490 binders are positioned between the standard brakes and the $9,080 high-performance carbon composite disc brakes. 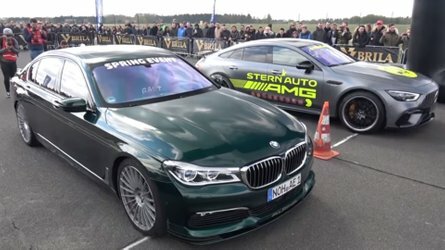 The surface-coated discs wear a coat of tungsten carbide that – along with special brake pads – quells brake fade and also results in a 90 percent reduction in brake dust. With a front and rear diameter of 16.3 and 14.4 inches, respectively, the surface-coated discs are 2.5 and 1.4 inches bigger than the standard units. 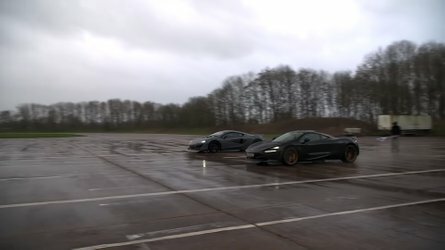 In theory, the new brakes seem like a worthwhile option, but in practice, the big 10-piston front and 4-piston rear calipers (the standard brakes use 4- and 2-piston units front and rear) work with a particularly grabby brake pedal that makes it difficult to bring the Cayenne to a stop smoothly. It’s a shame the surface-coated brakes are so finicky because the brake discs boast a stunning mirror finish that adds extra visual pizzazz to the crossover SUV. Fortunately, the Cayenne is an attractive thing in its own right. 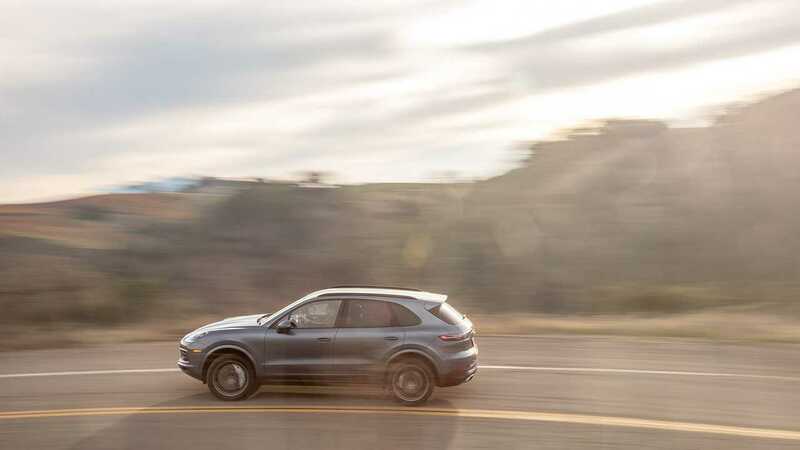 An additional 2.4 inches in length and a slightly lower roofline work with newly-standard LED headlights and a shapely full-width LED light bar to give the latest Cayenne a lower-slung and more cohesive look relative to the previous model. Although the exterior design is evolutionary, the interior bears witness to more revolutionary change. 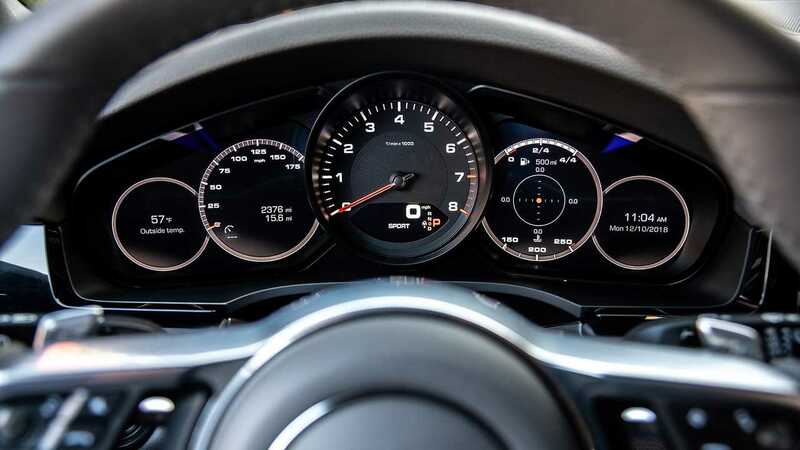 As in the Panamera, the Cayenne welcomes the latest iteration of the Porsche Communication Management (PCM) infotainment system and enhanced connected services. 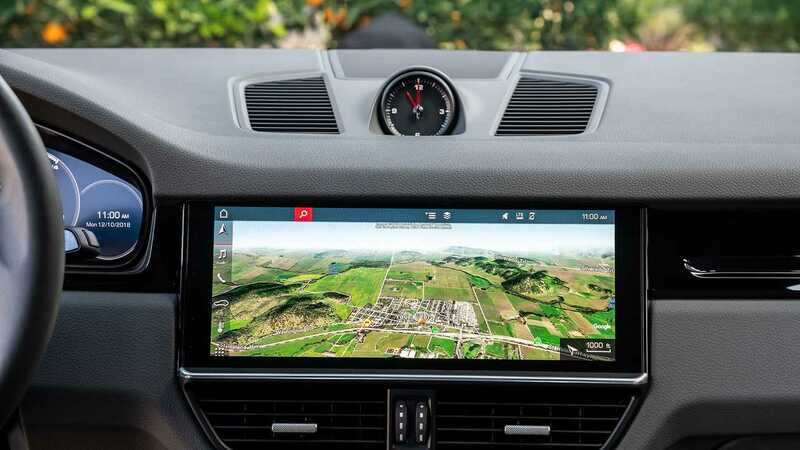 With a large 12.3-inch touchscreen display serving as central command for most comfort and convenience functions, the setup is a rather intimidating affair due to its many menus and middling ergonomics. Nevertheless, the system’s graphics are crisp and the screen readily responds to touch inputs. A handful of switches and touch-capacitive buttons live around the base of the drive-by-wire shift lever and allow for easy access to major menus and climate controls. 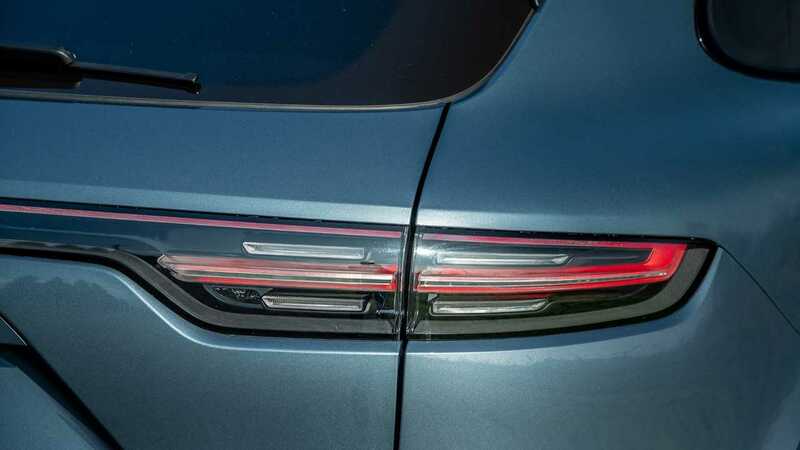 In fact, there’s quite a lot missing from this $65,700 luxury vehicle, and the Porsche continues to upcharge for even small things such as a blind-spot monitor ($950), a proximity key ($890), and heated seats ($530). 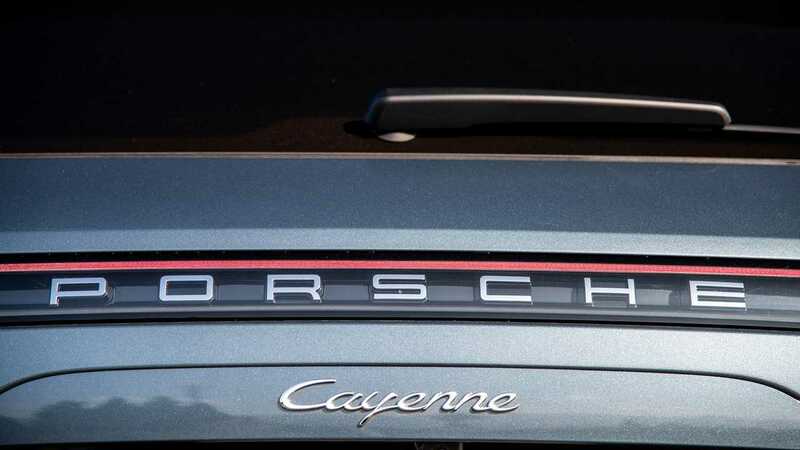 Options on this Cayenne include $2,430 worth of heated 14-way power front seats with memory, $1,560 for stainless-steel front and rear skid plates, $1,540 in adaptive headlights, $1,230 worth of gloss-black window and roof-rail trim, $1,130 for thermally and noise-insulated laminated glass, $840 for clear taillights, and $800 in Biscay Blue paint – plus the aforementioned wheels – for a total of $84,240 (including a $1,050 destination charge). Yet, Porsche buyers seem unfazed by the brand’s pricing strategy. Instead, the brand's customers appear to view the myriad of options as the equivalent of getting to choose the specific flavors of a hot sauce separate from its spiciness. 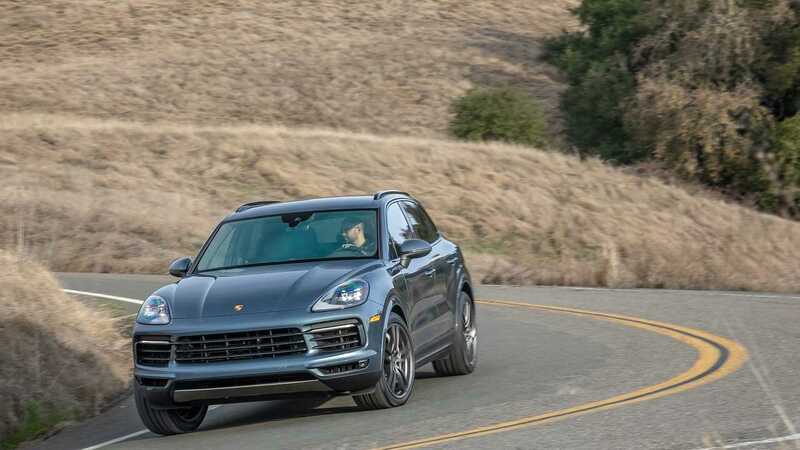 That means Cayenne shoppers can pair the mild turbocharged V6 engine with more ordinary kit such as adaptive cruise control ($2,000) and a panoramic sunroof ($1,850), or with stranger fruits such as massaging and ventilated front seats ($2,000) and the Off-Road package ($2,000), the latter of which includes additional underbody protection. 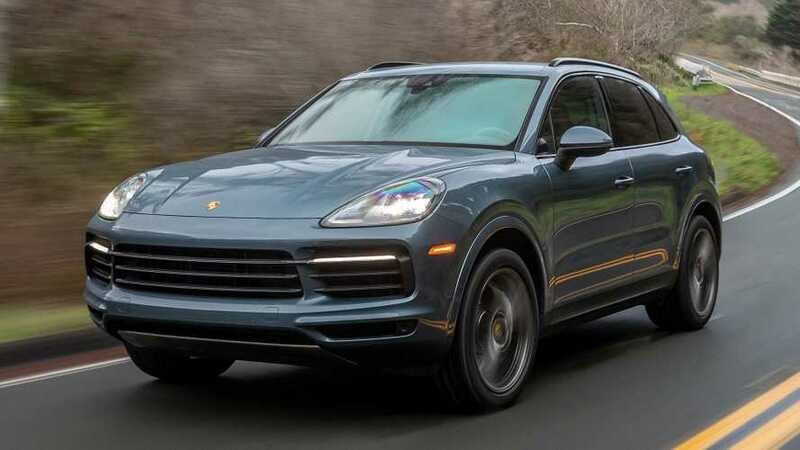 The 2019 Porsche Cayenne is certainly not for the cost-conscious. Still, it is an impressive and fun-to-drive crossover with an entry-level powertrain that finally feels tantamount to the brand itself.